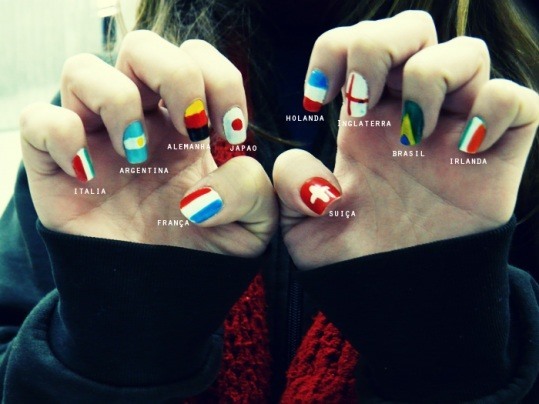 Make it Sparkle is stylin' with her World Cup manicure, representing 10 countries. Click through for a Google-translated tutorial. 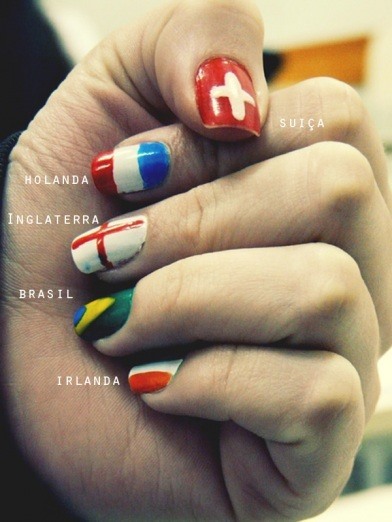 Happy World Cup! 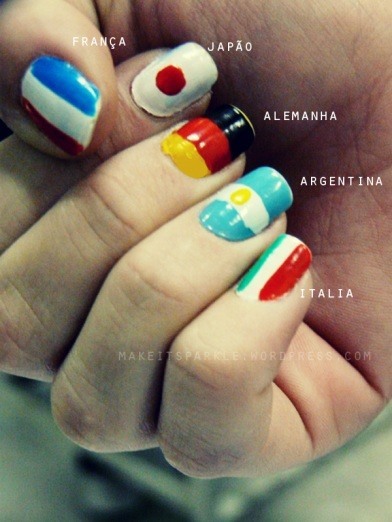 Get your latest World Cup news here. Previously, The Whole World is Watching: Faces of the World Cup. HowTo: Silence That Damn Vuvuzela!